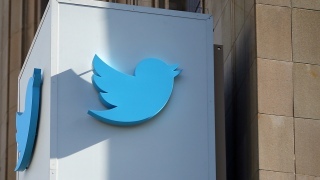 Twitter headquarters in San Francisco, California, is seen in this Getty file image. Saying it was time for tech companies to "pay their fair share," San Francisco Supervisor Eric Mar today introduced a ballot measure that would impose a new tax on the biggest tech firms to pay for affordable housing and homeless services. companies would be identified as technology firms according to the tax codes they submit to the city. "After five years of rapid tech boom in San Francisco we are putting forward what we call a housing and homeless services impact tech tax to require big tech companies to pay their fair share for their impacts on housing and homeless services in this city," Mar said at a press conference today. The measure targets the perception that an influx of well-paid tech workers has fueled rising housing costs and increased evictions in the city. "All of our folks are facing displacement, and this is due in large part to the tech boom," said Kung Feng, lead organizer for Jobs for Justice. Jennifer Friedenbach, executive director of the Coalition on Homelessness, said that evictions and high housing costs are a leading cause of homelessness in the city. Francisco we need a sustainable revenue source, we need to get serious about it and in order to do that we need funding." The measure also contains a provision cutting the business registration fee for small businesses in half, a move that is expected to benefit around 75,000 companies with less than $1 million in revenue. The measure will require six votes from members of the Board of Supervisors to get on to the November ballot and two-thirds majority support by voters to win approval.